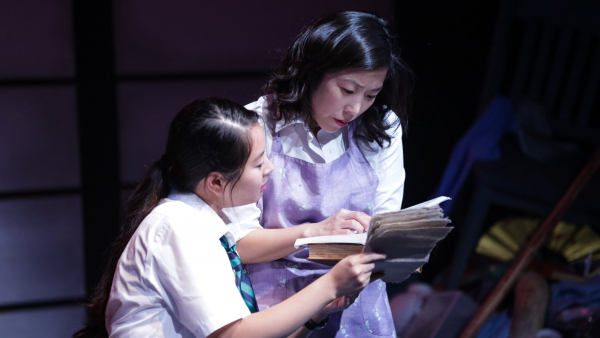 Set in Seattle, this bestselling first novel by Seattle author Stephanie Kallos reveals how the lives of two women–septuagenarian Margaret Hughes and her quirky housemate Wanda Schultz – are both transformed when their paths intersect. 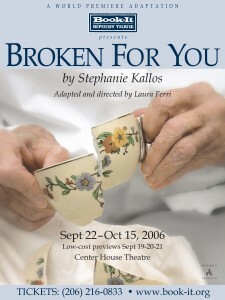 A testament to surrogate families, an homage to the beauty of mended things, and a haunting glimpse into the history of WWII and its Jewish survivors, Broken For You is a lively, lovely, soulful book and Book-It is delighted to present its world-premiere stage adaptation. Lynne Ellis, Master Electrician & Board Op.